As I reflected and revisited on the three lessons (11, 12, and 13) of our History of Christian Spirituality, the term ‘desert experience’ boggled my mind. What is in the ‘desert experience’ that makes Christian Spirituality something to be admired of? Why is it something very important and unique? When we think and speak about ‘desert experience,’ a conglomeration of ideas and imageries could possibly popped up on our minds like “it is a hostile place”, “it is a place of hardship, suffering, hunger, thirst, and death,” “it is related to sadness, banishment, damnation, etc. etc.” Sounds pessimistic and cynical right? But for those spiritual fathers and mothers who lived in the desert as pilgrims in order to seek the face of God and to withdraw their selves from worldly affairs and interactions; ‘desert experience’ led them magnanimously into the bosom of God’s infinite love and mercy. I realized, ‘desert experience’ is not something to ignore. It was considered as one of the most significant experiences of the spiritual fathers and mothers that highlights their struggles and asceticism with the desire to be converted according to commandments of God and to strive for perfection. As I try to imagine the experience of the spiritual fathers and mothers who lived in the desert in order to fulfill their heart’s desire, i.e. God, I ask myself; who will be gonna survive on that kind of experience? Even I myself will find it difficult to survive. However, spirituality, or to be more specific ‘desert spirituality’ is not all about survival but God. The true spirituality of the desert is radical, so striving with the ‘desert experience’ is not about what I am doing but what God is doing. Hence, ‘desert experience’ is all about struggling and discovering the impact, meaning, and implication of God’s love in our lives. But, I am not also taking away the significance of rest in ‘desert experience’. Actually, rest serves as the ‘secret ingredient’ for connoting ‘desert experience’ with a positive outlook. 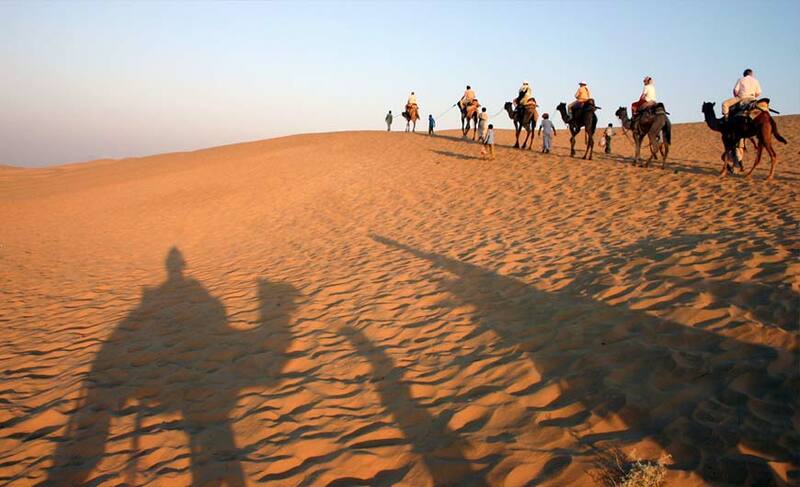 Hence, ‘desert experience’ is not a root for acedia or navel-gazing, but a pilgrimage towards the ultimate summit, i.e. God. As I do my very best to relate what I have reflected about the ‘desert experience’ in my life, one thing has popped out my mind is this, how could ‘desert experience’ be relevant and appropriate in my present state? Actually, I realized, ‘desert experience’ is not a passé. It is something could be related on our daily struggles in attaining wholeness. I myself can attest that my ‘desert experiences’ has been weaknesses and shortcomings. Without weaknesses and shortcomings in life, how could I be able to recognize the significance and goodness of God into my life? How could I be able to love Him if I am not broken and fragile? Indeed, St. Paul is right in saying that our weakness is our strength in loving and following the footsteps of God. So, ‘desert experience’ is real and for everybody and not just only for the patristics, monastics, and mystics. I believe, the real growth and maturity lies on how we accept, validate, and ‘work out’ our own ‘desert experience/s’ which really brings us to be get closer with God. So, do you want to know what true love means? This is what I learned from what I have reflected upon; true love is befriending our ‘desert experience/s’ in life. No matter how crucial, embarrassing, and disappointing our own ‘desert experience/s’ it is not a discouragement for us to love. True spirituality is all about loving, and without the presence of our own ‘desert experience/s’ in life it’s hard to love. Only in our own ‘desert experience/s’ we may be able to recognize that true love is God. God allows us to be ‘broken’ in order for us to be one with Him who also allow Himself every day to be like us. “Aloneliness”-I don’t even know if this word exists. As I type this word in MS Word, a red line appeared on this word. Although this word may sound erroneous and disgusting for Mr. Webster, for me, it reveals the gist and the fruit of my reflection for today which I would like to share. I believe that as we advance in age and wisdom through the influx of several significant experiences that we encounter in life, we cannot but create our own insights or words just to express it as part of our learning and growth. This is now what I am doing as I encounter today one of the most weighty yet crucial expressions in the realm of love and relationships. Hence, “Aloneliness”. This out-of-this world terminology implies to a decision of choosing to be alone and to move on all by ourselves and our efforts after the tremendous pain, loneliness, and aches of unsuccessful relationships in the past. Encountering that kind of experience and coining it with the word “Aloneliness” made me ponder and questions boggles my mind; how could you face and recompense your past pains, loneliness, and aches if you will handle it all by yourself? How could you even move on and start all over again in life with joy and happiness if you want to do it and face it alone? Henceforth, choosing “Aloneliness” as a principle in life makes me affirm the fact that past pains, loneliness, and aches repeats itself. Actually, we cannot find any answer, solution, and clarification in choosing to encounter our past pains, loneliness, and aches all by ourselves. It’s like we are choosing our own bereavements rather than better joy, life, and love. We cannot control our past. It happened because it happened. Acceptance is the key for mending the brokenness that we experienced in our own past. Relating it on my own experiences, it was really hard for me to accept all the embarrassments I experienced from the past. I clamor for an instant solution, so I chose to face it all by myself, but it hindered me to move on. Little by little my value system was distorted. My friends and acquaintances suddenly left me alone and did not trust me anymore because of my self-centeredness and narcissistic tendencies. I became pessimistic about relationships and interactions. 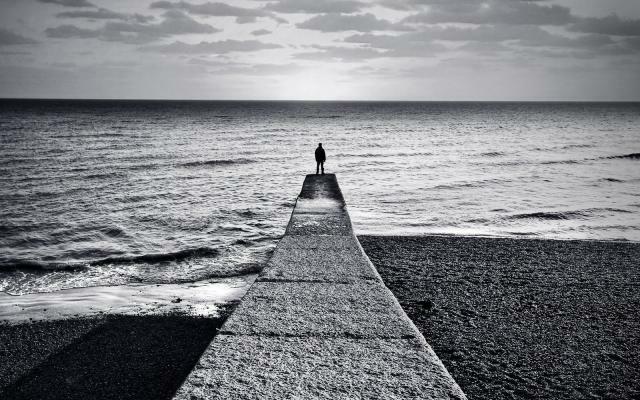 I thought, my past will be healed and redeemed if I will face it all by myself without relying to any help and support. But, it was a mistake. It was a great breakdown and collapse into my life when I chose to handle my own past pains, loneliness, and aches all by myself. On that instance when I reached my life’s rock-bottom that opening my heart for support and for possibility to consider another new chapter in my life is very essential and fulfilling. I realized, choosing to encounter your own past nightmares alone is like closing the door of possibility for support system and for love. Loving our past nightmares does not depend on our own opinion, desires, and wants in order to determine it, it depends on how we value the things and the people that became part of our lives and soon will serve as our great help to accept our past nightmares with love. Loving our past nightmares can hurt sometimes, but loving it all by ourselves is not the only thing that perhaps will be able to conquer its pains, loneliness, and aches. Our friends are always there to listen to our deep longings. Our families are always ready to support us through thick and thin. New loves and opportunities are always waiting for us and willing to mend our broken hearts. Thence, No man is an island. This maxim will only be realized, recognized, and appreciated if and only if we open the doors and the windows of our weary hearts. These were the things that I’ve learned as I opened my heart and became sincere on my deep longings to accept and heal my past nightmares. Indeed, loving my own past nightmares made me affirm this insight that popped-up unto my mind; problems and heartbreaks will never be solve all by ourselves. It is better to share it and to say it with all honesty and sincerity and for sure it will mend greater than what we long and expect. Dahil Buwan ng Wika ngayon, ninais kong isa-Tagalog ang aking simpleng pagninilay na may kinalaman sa aking patuloy na pagtuklas at pagsasaliksik ng tunay na persona ng pag-ibig. Ngayon, gusto ko sana ibahagi ang naging bunga ng aking pagninilay sa temang aking inisip at napili na naging usap-usapin sa social media, telebisyon, radio, at pati na rin sa tsimis, biruan, at kiligan; walang iba kundi ang pariralang “Sa Tamang Panahon” (pasensiya na kung may elemento ng Taglish). Nang sumikat ang AlDub, ang kauna-unahang Kalyeserye na pinasikat ng Eat Buluga, muli na naman naantig ang aking kamalayan sa mga usapin at terminolohiyang may kinalaman sa pag-ibig. Sa totoo lang, hindi ako masugid na tagahanga ng AlDub at hindi ko rin sinusubaybayan ang mga episode nito na pinapalabas ng Eat Buluga sa telebisyon araw-araw. Pero, nang sumikat at bumulaga sa Facebook, Youtube, at Twitter ang pariralang Sa Tamang Panahon na pinasikat ng programa kamakailan lang, biglang napatanong ako sa aking sarili; Kalian ba ang Tamang Panahon? Ano ba ng tunay na kahulugan nito? Bakit ito ang madalas na ekspresyon o bukang-bibig sa #whogoat (#hugot), love quotes, #padeepthoughts, #pabebe, #pabitter, jokes, at pati na rin sa pagmamahalan/pag-iibigan? Madalas kapag naririnig ko o nababasa ko ang pariralang Sa Tamang Panahon napapakamot ako sa ulo. Minsan nga napapatanong ako sa sarili ko; Alam ba nila ang kahulugan nito? Saan ba nila hinugot ang pariralang ito? Maraming beses na rin ako nasabihan ng pariralang ito lalung-lalo na kapag #realtalk ang usapan, halimbawa; Kailan ba tayo mag-uusap? Please naman let’s talk. (Ang sagot)…Hindi muna ngayon busy ako…Sa Tamang Panahon na lang. Ewan ko ba kung alibi lang ang pariralang Sa Tamang Panahon o may kaakibat sigurong katotohanan sa likod nito. Baka siguro busy talaga siya o hindi pa talaga ang tamang oras, tiyempo, at pagkakataon para sa #realtalk. Anyway, hindi ko naman kontrolado ang sitwasyon at ang kailangan kong gawin sa ngayon ay magpasensiya at maghintay. Magpasensiya at Maghintay…teka lang…parang tugma sa pariralang Sa Tamang Panahon. Di ba ito dapat ang ugaling taglay natin kapag tayo ay umaasa na sana maganap na ang mga inaasahan natin mangyari sa ating buhay at sana masagot ang mga katanungan sa ating puso’t isipan na naibaon natin sa limot at pagdududa? Kaya, para sa akin, isang misteryo ang pariralang ito at ito rin ang dahilan kung bakit napapakamot ako sa ulo. Ibig sabihin nito, mahirap tukuyin sa pamamagitan ng salita at talinghaga ang tunay na kahulugan ng pariralang ito. Karanasan lamang ang siyang magiging batayan at magbibigay ng tunay na kahulugan nito. Siya nga pala, nabanggit ko ang salitang Karanasan at nabanggit ko rin na hindi bago para sa akin ang pariralang ito kung karanasan ang magiging batayan upang mabigyan ito ng konkretong kahulugan. Kung aking babalikan ang mga tinatangi kong karanasan para lamang mabigyan kahulugan ang pariralang ito, masasabi ko, hindi kailanman mabibigyan halaga ang pariralang Sa Tamang Panahon kung di ka maniniwala na may pag-asa sa lahat ng iyong inaasahan. Kaya tayo umaasa dahil may Tamang Panahon sa lahat ng bagay. Pero, paano kung umaasa lang ako sa wala? Paano kung ang inaasahan ko ay wala pa lang kaakibat na pag-asa? Magagawa pa ba natin masilayan at maranasan ang Tamang Panahon kung umaasa lang ako sa isang karanasang tabularasa? Minsan di natin maiwasang magduda sa tuwing hindi napupunan ng pagkakataon ang mga inaasahan natin sa buhay. Minsan ang hirap intindihin kung bakit sa buhay natin may mga masasakit na katotohanang umaapekto sa ating pag-iisip, paninilay, at pagkilos. Pero, sa kabila ng lahat na ito, patuloy pa rin tayong umaasa na sana dumating inaasam nating Tamang Panahon. Anong nagtutulak sa atin na umasa sa Tamang Panahon kahit wala ng pag-asa? Pag-ibig. Ah! Bakit? Sa pagninilay ko, napagtanto ko na kahit mawala man ang pag-asa sa kakahintay natin sa Tamang Panahon, pag-ibig ang magtutulak sa atin na huwag lisanin ang kasabikan masilayan ang liwanag na hatid nito. Ngunit, isang mahalagang bagay ang dapat natin tandaan sa pag-ibig; dapat nasa Tamang Panahon din para sa hinahangad na Tamang Pagkakataon. Oo, likas na sa atin ang magpaapekto sa impluwensiya ng pag-ibig lalo na kung tayo ay umaasa kahit imposible na ang lahat. Pero, dapat naayon sa Tamang panahon. Ang gulo diba? Pati ako naguguluhan na rin. Kailan ba talaga ang Tamang Panahon? Sa totoo lang hindi segundo, minuto, oras, araw, buwan, at taon ang batayan nito. Bagkus, nasa ating disposisyon at desisyon ang Tamang Panahon. Hindi madali ang umasa at maghintay, ngunit kailangan dahil kahit wala nang pag-asa ang umasa at maghintay, at pag-ibig na lang ang siyang nagtutulak para manatili ang kasabikang masilayan ang Tamang Panahon; ito’y isang magandang disposisyon at halimbawa ng taong tunay na nagmamahal. Ang Tamang Panahon ay may kaakibat na sakripisyo at pag-aalay buhay, at mauunawaan lamang ito kung tayo’y tunay na nagmamahal na walang pag-aalinlangan. Lo, Roses do blossom on Winter! Lo, roses do blossom on winter! Sounds funny and crazy, isn’t it? Perhaps you will consider me a fool in saying and affirming this kind of statement which in reality is impossible to happen. But, even though you may label me or brand me as a dupe in asserting this kind of irrational statement, I still believe that roses do blossom on winter. What do I mean with this statement? Why do I keep on insisting this which kind of a pain in the head? Actually, no one ever saw, even I, that roses do blossom on winter. 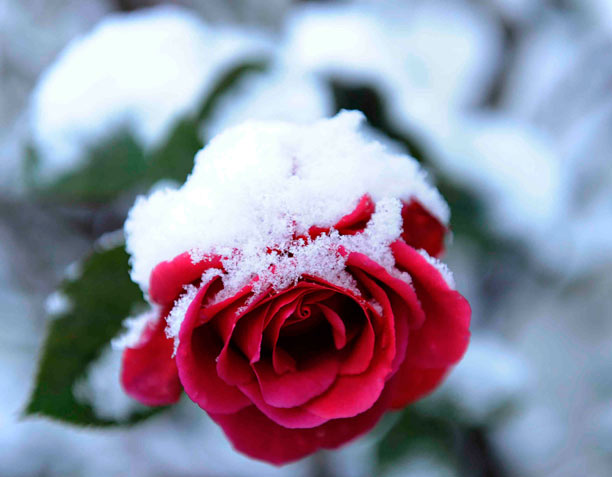 Roses, or even other plants, cannot endure the freezing atmosphere of winter, so they easily croak and don’t survive. Another reason is here in the Philippines we don’t have winter season, so I don’t know whether roses do blossom on winter. But, what do I mean in affirming this foolish declaration? The statement roses do blossom on winter is really a foolish stuff in the first glance because it distorts the reality of the fact that it is impossible for the roses to blossom on winter. On the contrary, the statement does not want to distort what is more agreeable, factual, and real. It is only a metaphor as I reflect upon the most significant activity in our lives which also serves as our life principle, i.e. to love. We cannot deny the fact that we falter as we do our best to love the unlovable in life. Difficulties, limitations, shortcomings, and challenges sometimes hinder us to give our hearts sincerely and courageously for the sake of finding the real meaning of our existence. We all agree with this maxim that we cannot live without love; but, we don’t accept the fact that it takes pain and more pain to love. If I will be asked about this thing, my possible answer will be “it’s better not to love anymore if the consequence is pain not gain; to be hurt, but not to be consoled”. To be honest, whenever I always encounter some descriptions, reflections, or explanations about love I cannot but remember all the pains and rejections that I received in loving sincerely and courageously. My life is really unfortunate about love. I envy those people who really excelled in life and in their relationships because of love, but me I don’t know or maybe I am just unlucky or it’s just a bad luck for me to love. Suddenly, I realized that if loving is demanding this should not be my attitude. Lo, roses do blossom on winter. For me, it means to say, love blossoms even though there’s a winter of oppositions, rejections, and pains in life. Even my past experiences were all about my unsuccessful love story, it should not sojourn me to move on and to go on loving. Although I never still reach the top as I love, it is precisely this that it keeps me going. Roses do blossom on winter-what made me say and affirm this? I remember Antoine De Saint-Exupery’s The Little Prince and I would like to quote his insight which is one of my favorite inspirational quotes about love; it is only with the heart that one can see rightly; what is essential is invisible to the eye. My past may give me some setbacks and regrets about love, but it is not a cause for me not to love. I am so thankful with it because it helps my heart to see what is essential and invisible to the eye in loving. Lo, Roses do blossom on winter. Sounds funny, crazy, and stupid right! But, for me, it is only through and by love that this statement is something affirmable and confirmable. By the way, it may sounds unrealistic, but for me is real because I experienced it. One of the hardest things to do in life is to make the past relevant to the present. We always insist that we are in control of our lives, so we do our very best to turn back the time in order to correct its mistakes from the present. But, as we try to control and to turn back the past, we tend to ask ourselves; why it cannot happen again in the present? Why I cannot in line the past with my own perspectives and desires that it must be what I expect most? To be honest, I have this kind of attitude as I face the reality of my own past. I have this regret that someday if I could only turn back the past I can correct all the mistakes that I’ve done and grab all the opportunities that I wasted so that I would not be like this today. But, I realized, the more I long with this kind of “hallucinating dreams’ into my life, the more it’s hard to move on. Yes, I am not in control of everything. It comes and it ends, but the lesson will always remain. I have realized that learning the promptings of the past is not all about correcting it on our own wants and desires, and insisting it to be relevant today; it is in moving on. The more that I move on, the more I become aware of the new things, new opportunities, and new beginnings that are ready and waiting for an encounter. 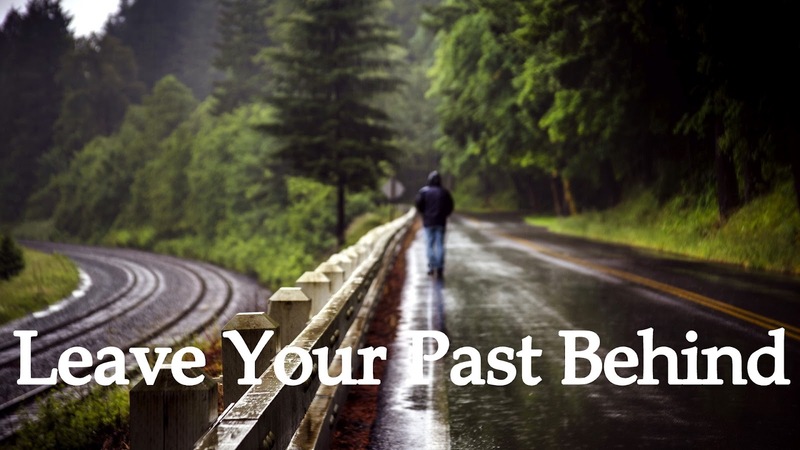 Hence, our past will only be reconciled in our present when we learn to move on. Moving on is the best thing to do in order to make the crooked line straight. It means to say; when we learn to move on in life, the past will still remain as it is, but it will not anymore define us as someone who will forever stagnant for change. Move on, and you will encounter an unexpected miracle which for sure will make you realize that life is worth living at this present moment. One last thing; moving on will never be a possible means for change unless we let go the past and we let God to make it right. We cannot make the past relevant to our present situation, but with the help of God, it will be healed and redeemed unexpectedly if and only if you will believe in Him.